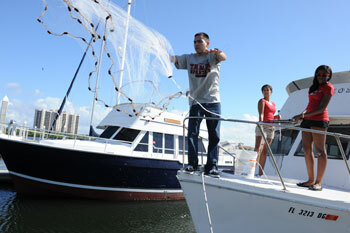 The University of Tampa's waterfront Marine Science Field Station is located at Bayside Marina, about 20 minutes from campus. 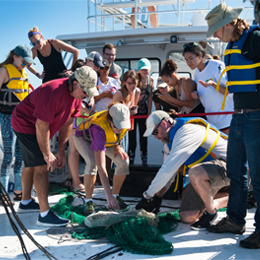 This 3,000-square-foot facility is well equipped to serve both students and faculty in marine science, environmental science and biology programs. 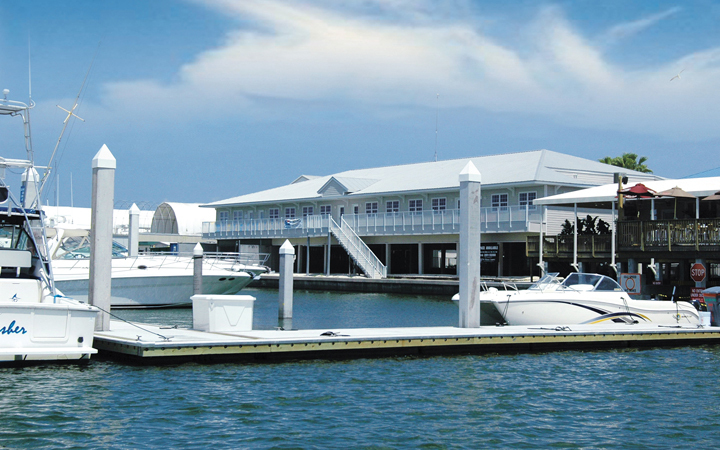 The facility includes a wet laboratory as well as a dry lab/classroom, a scuba storage area, lockers, showers and a boat slip. The wet lab has a recirculating/flow-through sea water system with reservoirs at ground level and a full complement of standard aquarium equipment. 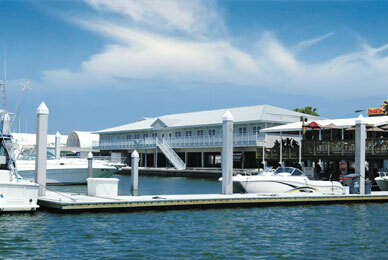 On the eastern edge of the marina property is a mosaic of supratidal and shallow water habitats that UT faculty maintain. 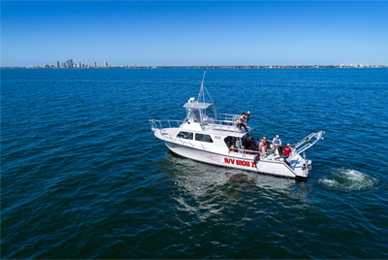 Three boats are housed at the marina, including a 27-foot Grady White, 23-foot Grady White, both powered by Yamaha 225hp four-stroke outboard engines, and a new custom built 46-foot offshore vessel, the BIOSII. 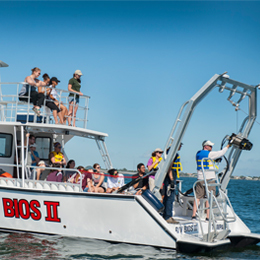 The BIOSII has advanced navigation, propulsion and is equipped to take students into the field for a variety of activities, including scuba diving, trawling, dredging and on-site study of marine and estuarine ecosystems. 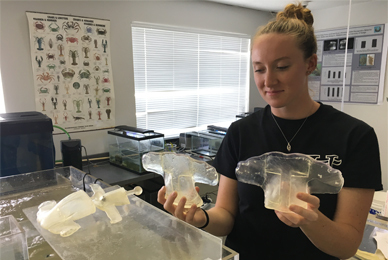 Several marine science courses take place in the facility during the academic year, including marine botany, marine zoology, invertebrate zoology, general ecology, marine ecology and ichthyology. 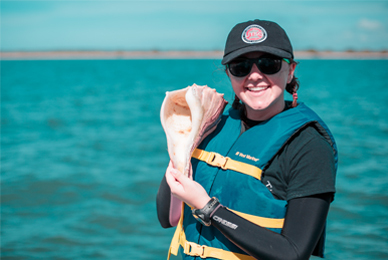 Undergraduate students, graduate students and faculty can be found in the lab and on the water conducting marine science, environmental science and biology research throughout the year.